It's starting to get cooler outside. I've had friends tell me they've already gotten snow where they live. So a nice, crackling fire sounds pretty good. And that's just what the Fire Clan has in spades in Crystal Clans. In this preview, we get a look at some more of their units, along with a hero. It's starting to cool off outside. And I know a lot of people are thinking of starting up bonfires and celebrating. The Fire Clan takes the idea of celebrating around a campfire to the extreme. They're the next clan coming out for Crystal Clans, and Plaid Hat is showing off the first couple cards for this new faction. It means that like-minded people will tend to congregate. It also means you shouldn't mess with birds, because then you've got a whole world of hurt coming down on you. And that's what's happening with the Feather Clan for Crystal Clans. In this preview, we get a look at some of the units they're going to be getting and how they work together. Considering the rest of the lyrics of that song, I should probably stop there. I'm not sure how much Type O Negative they listen to in the world of Crystal Clans, but I have a feeling that might be a song that the Leaf Clan jams out to often. Get a look at these wardens of the forest in this preview. Plaid Hat Games has a lot to show off for Crystal Clans. They've got an in-depth look at the Puppy Clan... I mean Doggo Clan... I mean Puppers Clan... I mean Fang Clan. They're also happy to announce another pair of clans for the game, the Fire and Light clans. I... I'm attacking the darkness! In this case, that's not such a silly saying, as Plaid Hat Games is looking to expand your options in Crystal Clans with the Shadow (The Shadow! The Shadow!) Clan. But what do these sneaky rogues bring to the battlefield? In this preview, we get an in-depth look at just that. Well, I mean, just shy of a bear clan, I would want to be part of the puppy clan in Crystal Clans. Though I'm not entirely sure the Fang Clan appreciates being called the puppy clan... maybe they'd be ok with doggo clan? I don't know. But these clan members are more than the happy scrappy hero pups, they're wolf warriors, and we get a preview of them here today. The ancient crystals bestow great power to the one that can find, capture, and control them. Such a prize has many groups hunting after it. 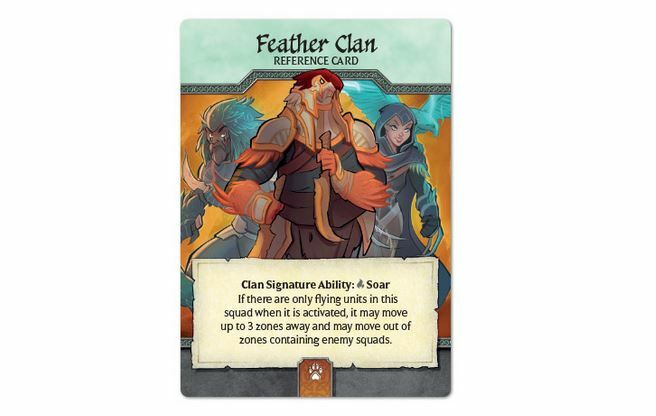 In the case of Crystal Clans, four new factions, the Shadow, Fang, Feather, and Leaf Clans are getting set to hit the field of battle. In this preview from Plaid Hat, get a quick overview of what each will bring to the fight. Crystal Clans is Plaid Hat Games' upcoming strategic card game. It will put players in control of their own forces as they look to battle against their opponents, with the goal to be controlling the powerful crystals that grant immense power to those that wield them. Many of you have been waiting for this game to hit store shelves. Well, you've got just about a month left to wait. It'll be available March 29th. Plait Hat Games has announced a new game they've been working on. In Crystal Clans, players are looking to control the four powerful crystals that will let them take over the world. They'll do this by creating armies of fantasy creatures and units. Build your forces, take on your opponent, and grab those stones!